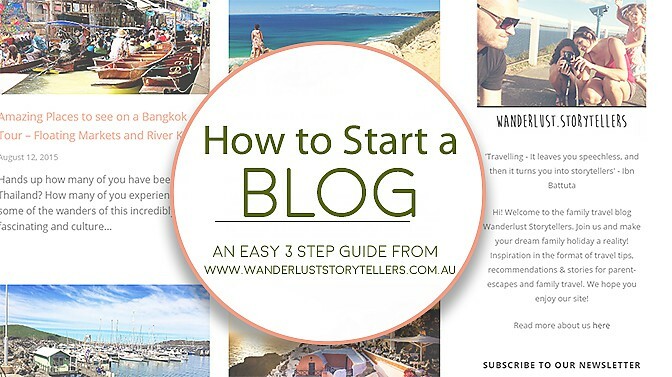 How To Start A Travel Blog - The Basics in 3 Quick Steps! 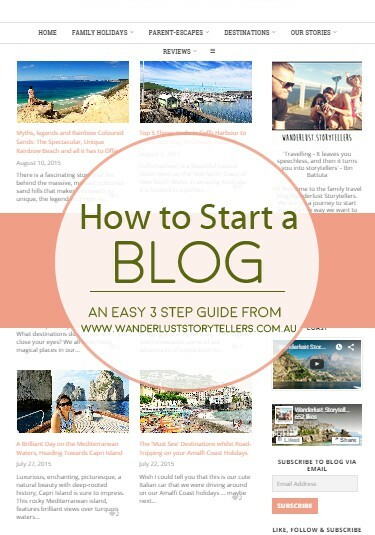 Have you been wondering about how to start a travel blog? Or a blog about Food? DIY? Home Decor? We take the challenging, mind-boggling job of starting a travel blog and break it down into 3 very easy to follow steps! Disclaimer: This post contains affiliate links to Bluehost. We are independently owned and the opinions expressed here are our own. *We are currently using all the products listed below and recommend them because we personally love the products. A blog can serve many purposes, for some it is purely a place to have a creative outlet! For others it is an extension of a business that they are trying to grow. You could easily have a blog focused around travelling with kids, or maybe around the best gear for travel or simply go for a more general destination-style blog. Whilst yet for others it is their full time job that earns them a monthly income. Whatever your reason is for wanting to blog, whether it is because of personal reasons or for business, the basics of creating your own travel blog can be quick and pain-free to do! And we are going to walk you through how to do it! How we did it. In only THREE easy-peasy steps! Since we set up our blog we have had an extensive range of comments in regards to how ‘professional’ it looks and in all honesty it really wasn’t hard to achieve! I promise that if we could do it, so can you!! Today is your day to create your own travel blog! If you have been thinking about it, why not give it a go? What have you got to lose? Simply follow these easy steps below and you will have your own blog up and running in no time at all! Picking your domain name can be loads of fun, it can also be challenging and frustrating and tricky! Before you pick your domain name, you need to make sure that you are totally head over heels in love with the name of your blog. So don’t rush it, think about it and see how your name feels to you over the next few days! I think we ran through at least 10 different options before finding something that just simply felt like the perfect match! After some more ideas and tips on how to choose the right name for your new travel blog? Here is a great ‘start a travel blog' guide that walks through some common mistakes to avoid! Once you find the name that makes your heart happy, check to see if your domain name is available in the box below. Don’t worry, if your name has already been taken, you can play with some variants. The most popular web addresses end in .com, so start by searching for —-> www.(thenameofyourblog).com. If that one is taken, you can try your name with different endings such as .net. The beauty of finding your available name in the box below means that you can register it with Bluehost FOR FREE!!! 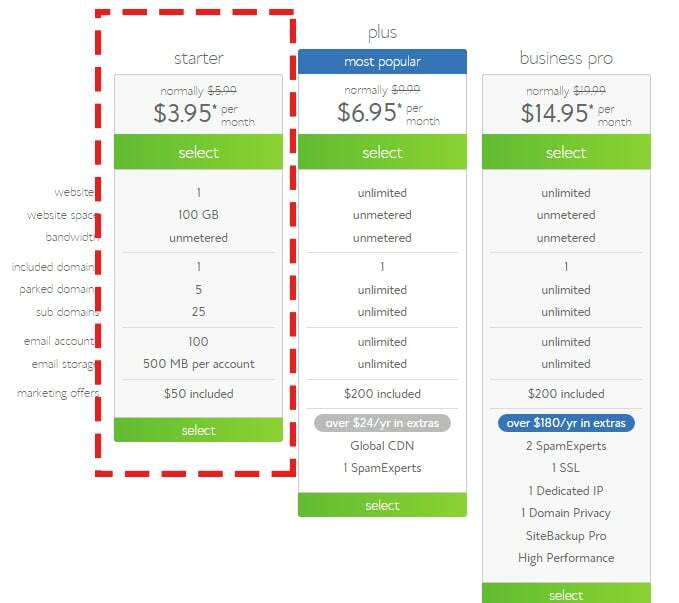 They offer free registration of domain names as part of their package, which saves you money! 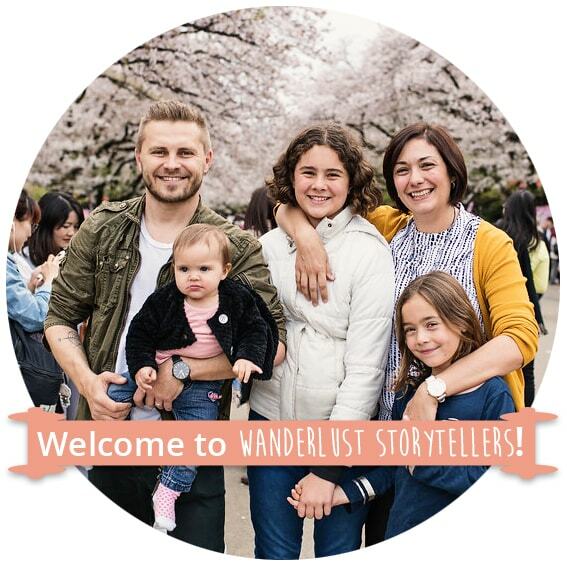 * If you are prepared to pay for a specific domain name that Bluehost doesn’t offer, such as with our site www.wanderluststorytellers.com.au (they don’t offer .com.au and .com with our name was already taken) then consider paying for that domain through a site such as Crazy Domains. For hosting, we recommend that you host your blog with Bluehost. You don’t have to host your blog with a provider, you can get a free blog from wordpress.org, however, a blog that is hosted not only looks more professional, but it also allows you more freedom in customizing your blog as well as being able to perform more functions. In our opinion, the small costs per month are worth the benefits you receive! We invested a lot of time researching the web to choose a host that met our needs. It wasn’t an easy job and it took loads of hours of researching! Bluehost is one of the most popular hosting platforms for bloggers, which means that they have experience with working with wordpress.org blogs and can therefore help you if anything goes wrong! They offer FREE domain name registration, saving you even more money – gotta love amazing deals!! When things go wrong, Bluehost is incredibly easy to reach in order to get support. We have contacted them with the 24/7 livechat option on a few occasions and generally get help within 5 minutes, we have also called them …. all the way from Australia and got through within no-time at all. They have always been able to solve our issues promptly. They offer a money-back guarantee. If you don’t love them, you can ditch them! They are reliable, have good reviews, there are no hidden costs and you can trust that your blog is safe in their hands! 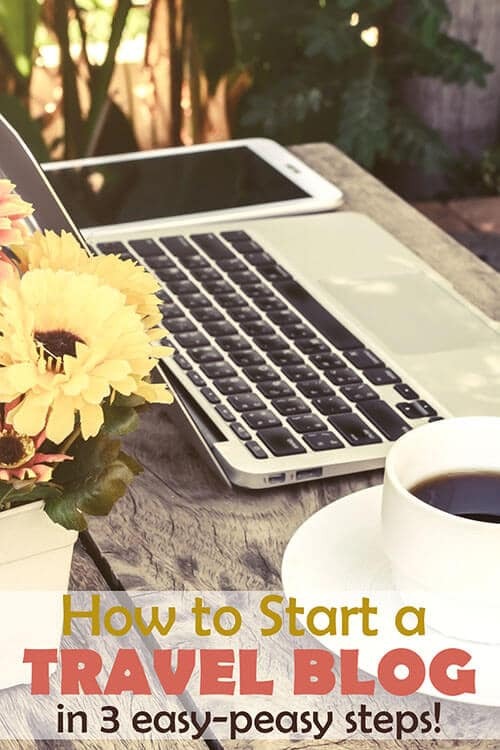 Hop over to Bluehost now, click on the ‘Get Started Now’ button and choose a plan, we suggest the Starter Plan, which is paid in one lump sum instead of monthly, but it’ll save you quite a bit of cash in the long run. In the next step, you will be asked to register for either a free domain name or to enter the domain name you purchased elsewhere. Next, enter your account information and select your package information. Below is a screenshot of what we used for the package information settings. We recommend selecting the ‘Domain Privacy Protection’ to keep your personal address and phone number associated with your domain name blocked to the public eye. We all love a bit of privacy right? Congratulations, the first step is complete!! 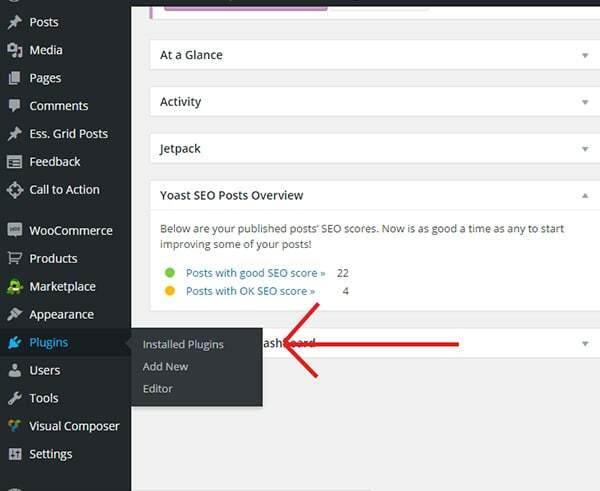 Next step involves installing WordPress – this is your blogging software. 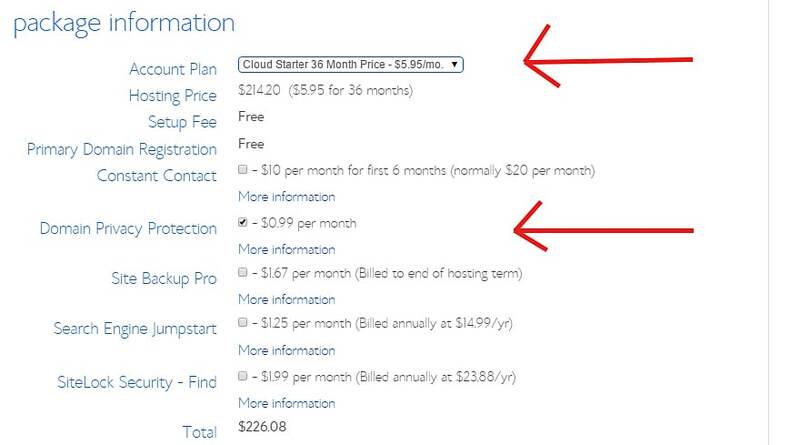 Luckily Bluehost has made this progress super easy!! It’s all automatic! 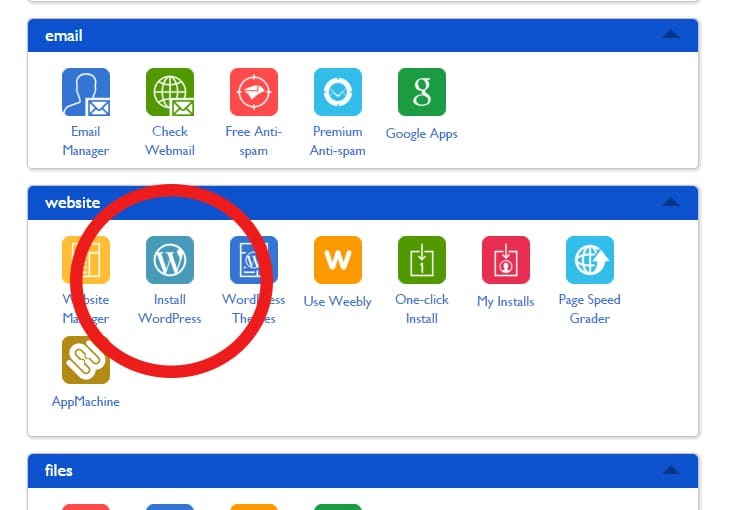 Login to Bluehost and on your homepage, scroll down until you find the ‘Website’ section, click on the ‘Install WordPress’ option here. On the next page click the “Install” button in the “Do it yourself (FREE)” section. On the next page, you will be asked to choose which domain you want to install it to, click the “Check Domain” button. This will take a little bit of time, but once you get the message that says “Your install is complete!”, click on the “View Credentials” button at the top of the page and write down your Admin URL, Username, and Password. 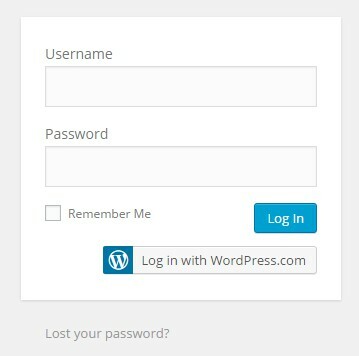 Enter your Admin URL into your web browser and in the WordPress login screen, enter the username and password that you just wrote down! Voila!! You now have a blog!!! 3. MAKING YOUR NEW TRAVEL BLOG LOOK AMAZING! This is the login screen that you will need to login to when you go and write your blog posts and where you go to make your blog pretty, so it will be important to ‘get-to-know’ this panel, and it might take a bit of time to work it all out. For now, it is time to fiddle on designs and ‘plug-ins’ to make your blog pretty before you even think about starting your first blog post. It is important to create a blog now that you absolutely love because if you switch themes later, it is common for things to ‘get lost’ or for things to go wrong. So make sure you love your blog. Themes: WordPress has tons of free WordPress themes to pick from. You can have a browse through the free options here. However if you like to be a bit more unique than most, and if you like certain ‘features’ it might be worth looking at investing in a bought theme. The Highend Theme – This is the theme we are currently using it. This premium theme is excellent value for money as you get dozens of different ‘looks’ in one, meaning you can customize your look to your heart’s content. The theme comes will all sorts of yummy extras. We love our theme! And we love the forum support you can get at HB-themes as they have helped us heaps with solutions to personalize our theme to create the look we wanted! – US $49 or AUD $66.40. You can also browse through hundreds of themes from the Mojo Marketplace to find a different theme that grabs your interest. Plugins: Plugins are little shortcut type programs to allow you to do things more easily. They can be quite addictive, but be careful about installing too many unnecessarily as they can slow down your site. Once logged in, look for the ‘Plugins’ in the menu. 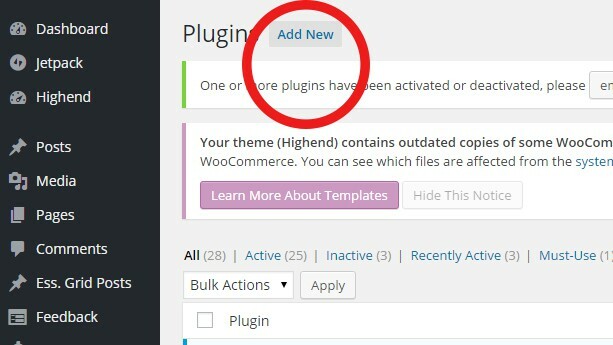 If you bought a theme, you might already have some plugins installed here, if not, go ahead and add some new plugins. ‘Jetpack’ is a popular plugin and ‘Akismet’ is great to help avoid spammy comments. 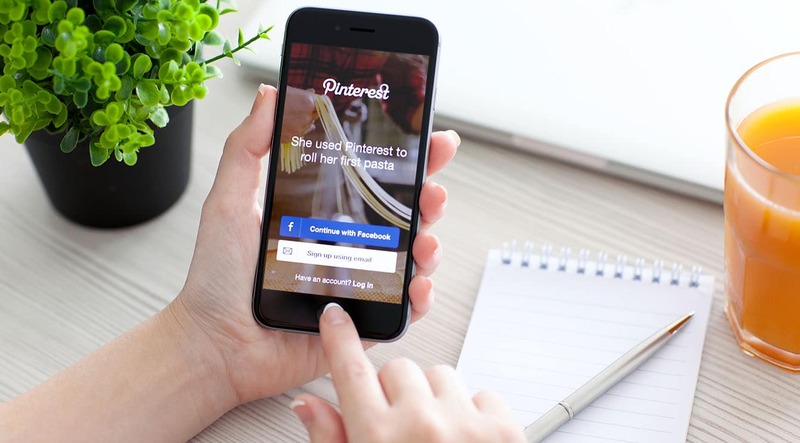 ‘Yoast SEO’ is beautiful for optimizing search engine keywords and ‘Pinterest Pin It Button’ will allow all your images to become pinterest-able. (yes, I just made that word up!) Browse through some of the plugins and have fun!!! Don’t forget, you do not have to pay a cent to become a blogger, if you simply want to experiment with a blog as a hobby, you can sign up through WordPress.org to get the basic features of the blogging world. You simply can't go wrong with setting up a free travel blog! Enjoy the journey!! WANT TO EARN MONEY WITH YOUR BLOG? If you would like to learn more about how to earn money as a newly set up blog, why not browse through our Income Report blog posts here! We made money from month 1, guaranteed it was only small change, but it is possible to make money from the early days! After more ideas of how to earn money whilst travelling? See our bumper edition of 27 jobs you can do whilst travelling. Leave us a link to your blog in the comments below so we can come and check it out!! Thanks very much. This helped a lot. This is fantastic information, thank you so much for making it so easy for a first-timer. Thanks guys. It’s good to get recommendations. I signed up with Bluehost and am on my way getting my website together. One thing I didn’t know was that all your information is out in the www. I was so angry when I found out that my address and phone number was published, after someone rang from India. I had to pay Bluehost to take it down. Hi Di, shame to hear that! It is so hard to protect yourself on the internet! We got a phone call too, but just blocked their number on our phones and never had any issues since! Hi Margarita! Well done for setting up your blog and it really does look very professional! Love the clean design as well! Thanks for these easy to follow steps! I got my blog set up within no time at all! Now to play and make it look all pretty! So excited!